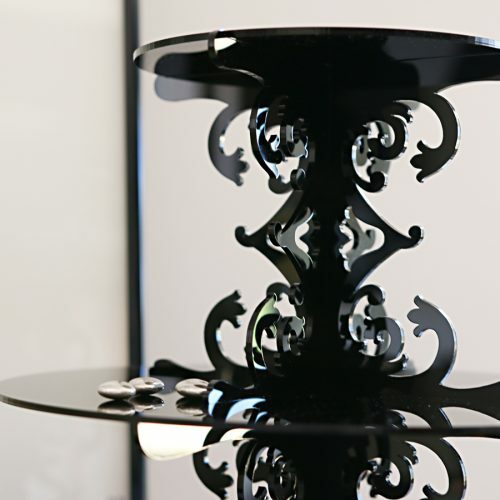 A sentiment to all things chic, this 2 Tier Loco Rococo cupcake stand is the ultimate companion for cocktails and cupcakes! Double your pleasure, double your fun with our 2 Tier Loco Rococo. 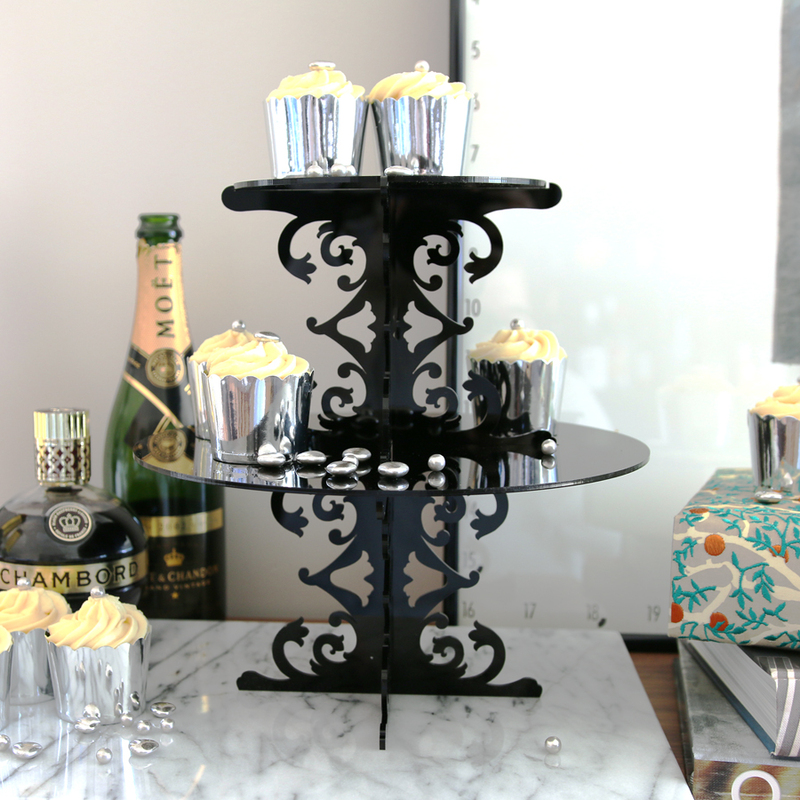 The newest addition to our glamorous Loco Rococo collection is perfect for high teas and the cocktail hour! 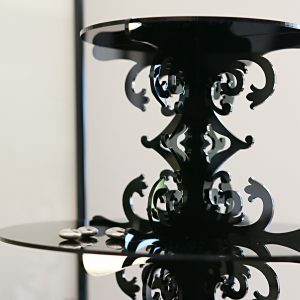 Assembled dimensions: height 29 cm; width 28 cm; top plate diameter 17 cm, bottom plate diameter 28 cm.